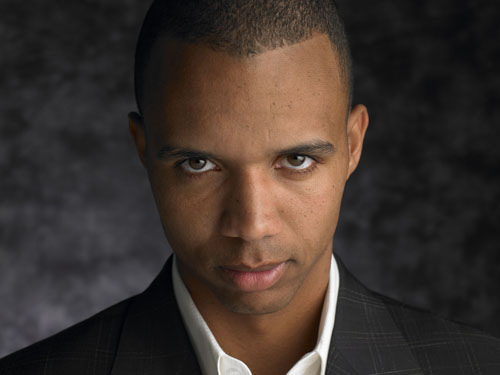 New Jersey’s Borgata Hotel Casino & Spa has filed a federal lawsuit against famed poker pro Phil Ivey, alleging that Ivey and a female companion conspired to defraud the casino out of more than $9.6 million during four lengthy sessions of high-stakes baccarat spanning much of 2012. The lawsuit, filed on Tuesday in New Jersey, asserts that Ivey and his companion, Cheng Yin Sun, employed a complicated “edge sorting” technique similar to that admittedly used by Ivey and and unnamed female companion (possibly Sun) in a similar incident in Great Britain, also in 2012, and that the activities undertaken by the pair were illegal under New Jersey gaming law. The case between Ivey and Crockfords remains active in the British court system. Ivey subsequently admittedly using the technique as accused by Crockfords, but has vehemently denied that it was illegal. In the new Borgata case, the New Jersey casino has asserted that the behavior by Ivey and his companion employed the same methods used at Crockfords, that it was indeed illegal, and the Borgata seeks to recover the more than $9.6 million won by Ivey over his four visits. Among the numerous charges brought by the Borgata are a complaint that the activity amounted to a civil racketeering (RICO) conspiracy, allowing the casino to recover triple damages if victorious in a trial. The initial amount sought by the Borgata, before any punitive or trebled damages, is $9.626 million. The lawsuit also includes civil allegations against Gemaco, the Missouri-based manufacturer of the playing cards which were allegedly exploited by Ivey’s play. The lawsuit says that Gemaco and an unnamed “Jane Doe” Gemaco employee were negligent in printing, and approving for casino use, playing cards to the Borgata that included very minor print variations that Ivey and his companiion could identify and exploit. The lawsuit stretches to about 50 pages, and includes several appendices, including a picture of the full-bleed card design used at the Borgata’s baccarat tables and the contract for more than 200,000 decks of cards from Gemaco which the Borgata asserts failed to be “free of defect,” allowing for Ivey’s exploitation and providing the basis for that separate part of the Borgata’s claim. Most of the lawsuit, however, details the complicated arrangement requested by Ivey and his companion as part of conditions for their agreeing to play baccarat at the Borgata, at stakes initially as high as $50,000 per hand but later raised to $100,000 per Ivey’s request. The Borgata’s lawsuit, specifically, alleges that many of the accommodations granted by the casino to cater to what Ivey and Sun said were “superstitions” weren’t superstitions at all, but were instead intentional contrivances designed to allow Sun to identify the top card before it was introduced into play, even though it was face down and inside the eight-deck show being used. Those contrivances included providing a Mandarin-speaking dealer to whom Sun could tell (in Mandarin) either “good” or “bad” card, and ask that the card be rotated 180 degrees. They also, according to the Borgata’s filing, included replacing any dealer that didn’t speak Mandarin as requested or who refused to handle the cards exactly as directed or return them exactly in the same manner to the automatic shuffler. Over time, the Borgata asserts, those “superstitious” requests allowed Ivey and Sun, via their demands to the dealers, to have the key baccarat cards (ususally eights and nines) rotated so that their minor print variations were detectable by Sun. The complaint also asserts that Ivey and Sun asked for and were allowed to have replaced multiple shoes of cards whose printing variations were likely too slight to be detected by Ivey and Sun, changing cards until they found a shoe useful for their purpose. Further, the Borgata asserts that Ivey initially bet smaller amounts during each session, only jumping to the maximum bet once a shoe had been identified as exploitable and subtly pre-sorted via Sun’s instructions to the dealers. The form of baccarat being played by Ivey allowed him to bet on either “dealer” or “player” before that first card was exposed, and decide according to what Sun was able to see. The Borgata asserted that with this “first card knowledge,” Ivey was able to shift the game’s normal 1.1% house advantage heavily in his favor, to approximately 6.7% for Ivey. Neither Ivey nor Sun actually touched the cards being used before they were dealt, a fact the Borgata asserts was irrelevant considering the card-identifying method being used. The lawsuit also alleges that by employing a technique which intentionally shifted the odds, Ivey violated the New Jersey gaming regulations that demand pre-published odds for all gambling forms offered in the state. Of extra interest is that Ivey’s fourth and final visit to the Borgata occurred just as his lawsuit against Crockfords in the similar British matter became public knowledge. Ivey and Sun arrived at the Borgata separately, joining up only at the baccarat tables, according to the suit. The Borgata filing states that casino officials questioned Ivey about the Crockfords matter before allowing him to play, on October 7th, 2012, and that Ivey recorded another big win. However, details about that Crockfords matter were still unfolding as Ivey’s last Borgata session continued. In a curious twist, the Borgata claims that Ivey ran that session’s winnings up to more than $3 million before allegedly dumping more than $2 million of it back, in what the Borgata’s complaint describes as intentional losses designed to cover the claimed fraudulent play.